Eddie loves his goat, Gardenia, but when she chews the roof off of Father's new car, there's no way she can keep living with the family in their suburban neighborhood. Eddie writes to his uncle Ed to ask him to take Gardenia to live on his Texas ranch. Uncle Ed happily agrees- and he invites Eddie to the ranch for a few weeks to learn how to be a cowboy. In Texas, Eddie receives lessons from his aunt, pals around with his cousin, learns some Spanish from a Mexican ranch hand, and even proves himself to be a true cowboy worthy of his very own spurs. I have always loved Carolyn Haywood, but the characters I knew best as a child were Betsy and her sister, Star. 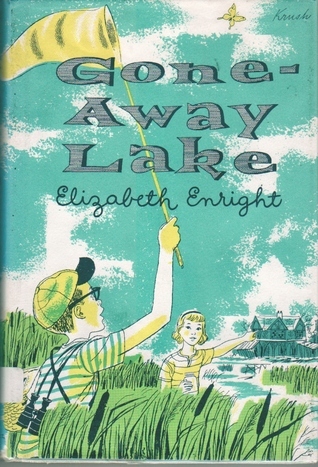 In my continuing efforts to explore more books published in the 1950s, I decided to give this one a try, and I was pleasantly surprised by how much I enjoyed Eddie and his ranch adventure. Eddie is an upbeat, well-behaved character, whose heart is always in the right place, and whose attitude is one of hopeful excitement. He is just daring enough to capture the attention of small boys who long for adventure, but he is never mischievous or disrespectful, which is something many parents who visit my library specifically look for in children's book protagonists. 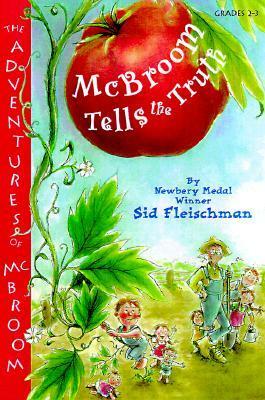 His adventures are exciting, especially to kids who have never visited a ranch, but they are also totally plausible. Nothing happens to Eddie that couldn't conceivably happen to any child in his same situation. Carolyn Haywood's writing style also does not disappoint. The details she uses to describe Eddie's train trip to Texas, the ranch itself, and Eddie's experiences driving, feeding "dogies" and riding ponies are extremely vivid. Even without the book in front of me, I can envision much of what happened to Eddie, almost as though I were there. Kids who love gentle realistic stories with adventures that are exciting but stick close to home, will adore Eddie. This book is reminiscent of other contemporary chapter books with male protagonists, including the Martin Bridge, Alvin Ho, and Justin Case series. Eddie also reminds me quite a bit of Beverly Cleary's Henry Huggins, and Johanna Hurwitz's Russell. Eddie and Gardenia is the third of sixteen titles about Eddie. The others include Little Eddie, Eddie and the Fire Engine, Eddie's Menagerie, and Eddie's Friend Boodles. A few weeks ago, after reading Miracles on Maple Hill, I realized that while I enjoy children's novels from the 1950s, I have read very few. This inspired a visit to my local library with the specific goal of choosing some Old School Sunday reading material published in the 50s. 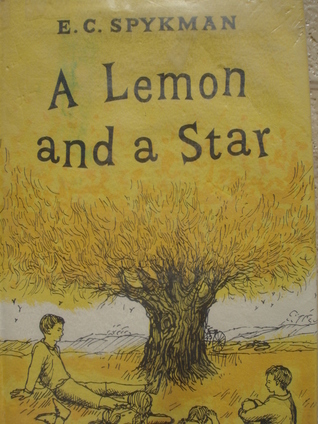 A Lemon and a Star was a particularly exciting discovery both because I had never heard of it before, and because it ended up being such a great story. A Lemon and a Star is about the four Cares children - Theodore (Ted), Hubert, Jane, and Edith (Edie), who live with their widower father and his household staff in Summerton, Massachusetts in the early 1900s. Because they have no mother, and because they are each mischievous little people, the Cares kids run rampant around the countryside, getting into fights, falling into the reservoir, capturing foxes, wallowing in mud and even occasionally sneaking into the city by train. Much of their time is spent bribing each other into keeping information from their dad, and in trying to keep Edie happy so she doesn't spoil all their plans before they even get off the ground. They have their own codes of loyalty and friendship, and their own ideas about how the world works, and they employ these rules as they look after themselves and each other. Like Swallows and Amazons and The Boxcar Children, this book is appealing because it shows kids on their own doing things for themselves. The Cares children are not as responsible as John and Susan Walker, or as Henry and Jessie Alden, but that just adds to the fun of the reading experience. Most kids - whether they grow up in the early 1900s, the mid 1950s, or the early 2010s - will never have the freedom given to the Cares kids, and it's a lot of fun to live vicariously through them as their adventures unfold. I also think kids like to be shocked by the bad behavior of other kids, even if it the behaviors are not something they would do themselves. My husband and I read this book within a few days of each other, and as we discussed it, we just kept laughing and saying, "They're so bad!" Our enjoyment of their behavior reminded me a lot of reading The Best Christmas Pageant Ever. Nobody wants to act like the Herdmans, but everyone wants to know what they'll do next. The same is true for Ted, Hubert, Jane, and Edie. For a book about so much mischief, the writing is very beautiful. Images of the red house where the family lives, the reservoirs full of sparkling water, and Ted's black eye after a fight are just a few of the moments in this book that bring it fully to life and make it so easy to imagine really being in Summerton watching these kids playing. The personalities of the four kids come across very well. Ted is portrayed as the frustrated oldest child who is stubborn and annoyed by his younger siblings. Edie is the spoiled baby of the family who can be bought but not controlled. Hubert and Jane fall somewhere in the middle, trying to do the right thing and keep their father happy, but also endlessly fascinated by thir older brother and filled with concern for him when he is in danger. Every child reader can find a character to sympathize with in every scene. Like many books for kids published in the 1950s, A Lemon and a Star is a great celebration of the adventures kids can have in their own backyards. It makes a nice read-alike for The Moffats, The Railway Children, and Swallows and Amazons, as well as for books by Carolyn Haywood and Beverly Cleary. Though I think they will be somewhat hard to find, I hope to track down and read the other three books in this series: The Wild Angel, Terrible, Horrible Edie and Edie on the Warpath, all of which sound wonderful.